When you have invested a substantial amount of money purchasing a commercial building, we know the last thing on your mind is radon testing and mitigation. You are concerned if you property will cashflow, understanding the market you just bought into, filling vacancies and making any renovations that you might need. At Radon Eliminator, we want to help you out! Radon is extremely prevalent throughout the state of Ohio, and according to the EPA, Radon is responsible for about 21,000 lung cancer deaths every year. If you just purchased a Commercial Property in Ohio or are in the process of purchasing, radon testing is a must to ensure you do not end up with a building that needs extensive work. 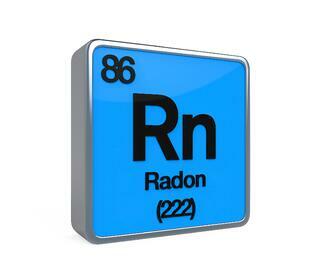 Radon can be found in any home or building, and the scary thing is, you cannot see, smell, or taste radon gas. The only way to determine the concentration levels in a particular building is to have a radon test performed. How Does the Radon Testing Process Work? Radon testing can be done in a few ways. To ensure your results are accurate, hiring a licensed radon testing company is a must. When testing a commercial property for radon, a member of our licensed testing team will place a radon test kit in each unit of the building to ensure an accurate measurement throughout your facility. They will remain there for a minimum of 48 hours collecting data that will be interpreted and processed through a radon testing lab. When the 48 hours is completed, the same specialist will return to collect each kit and send them to the lab for analysis. The lab processes the results the same day they receive them, which makes the entire testing process less than a week to complete. You will then receive a data copy of each test kit, showing you the radon concentration levels in each unit of the building. 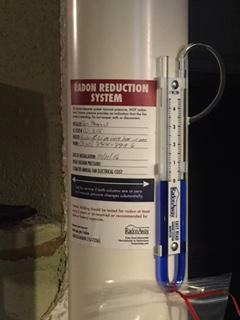 This allows us to determine which units contain elevated levels of radon because it is possible for there to be varying test results throughout the entire complex. Once we know the radon levels in each building, a licensed mitigation specialist will be able to walk you through the installation process and help you pinpoint the best way to run the systems so they are economical and asethetically pleasing. If your property t ests elevated for radon gas, radon removal would be necessary to ensure a safe environment. To determine the best type of installation for your property, a mitigation specialist will need to inspect each unit that needs remediation. After inspecting the units of the building, you will be given an accurate description of the radon removal process. You will be sent a written description of the mitigation process along with an accurate price quote for removal. 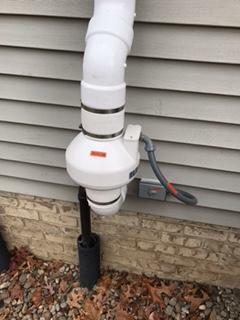 There are several ways to install a radon mitigation system in a given building, determining the best route will be up to the licensed professional, and if more than one option can be taken, the owner's preference for removal will be utilized. Deciding which company to entrust with your testing and mitigation services is a big choice. You want to make sure the testing is accurate, and the mitigation installations are completed efficiently and with guaranteed service. We are a licensed company: Our radon testing and mitigation specialists are licensed with the Ohio Department of Health and will provide their license information upon request. We have proven ourselves: We are the radon testing and mitigation provide to the largest apartment complex in Akron. We help you every step of the way: Our team with adhere to your property's rules for entry into a unit. However you inform your tenants about maintenance services, we can help you post a notice or create a custom notice for you to use. We guarantee our systems: This means, if for some reason the radon levels in the building do not drop lower than the EPA recommended action level of 4.0, we will come back and do whatever needs to be done to bring the levels down. We will do this at NO additional cost to you. 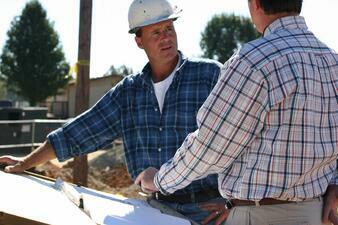 We provide post-testing FREE of charge: We provide FREE post-testing upon completion of the installation. This will ensure that our system is working properly and that your levels have dropped to where they need to be. We are a fully insured company: Our quality insurance will cover the cost of any unforeseen damage that could potentially occur during the installation process. This means if anything becomes damaged due to our installation we will fix or replace it at no cost to you. Our licensed team members have experience completing testing and mitigation services for large commercial properties. We know what it takes to complete the job promptly, and we achieve the results you are looking for. If you are interested in having your commercial property tested for radon gas, or if you already know the levels and need a quote for removal, our licensed Ohio Radon Testing and Mitigation Company can provide you with the services you are looking for. We offer discounted pricing for Commercial Radon Testing and Free Radon Mitigation Quotes. For more information on how to schedule your Radon Testing or Mitigation quote, click below to speak with a member of our Premier Ohio Radon Company.